Today I have an exciting giveaway to share with you! I have teamed up with Brightech to bring you this awesome opportunity. 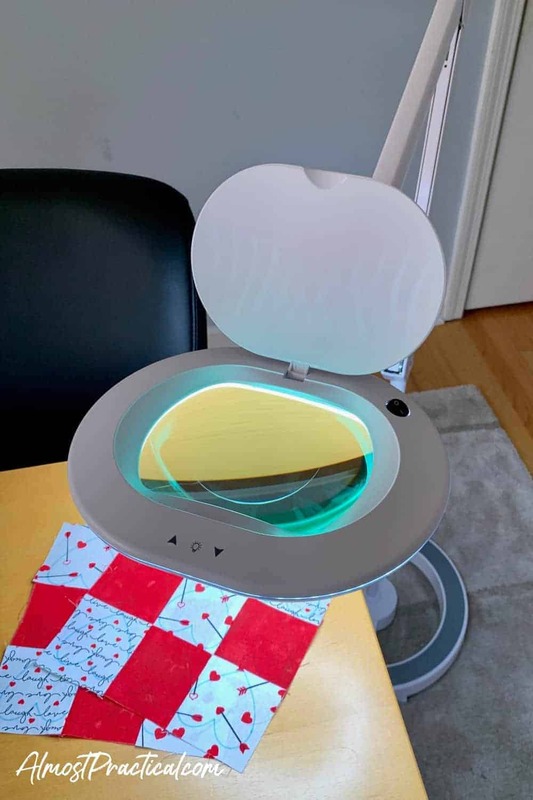 In full disclosure, Brightech sent me their LightView XL Magnifying Glass Lamp w Rolling Stand, Bright Craft Light to review for this post – AND they are also giving one away to one of my amazing readers. 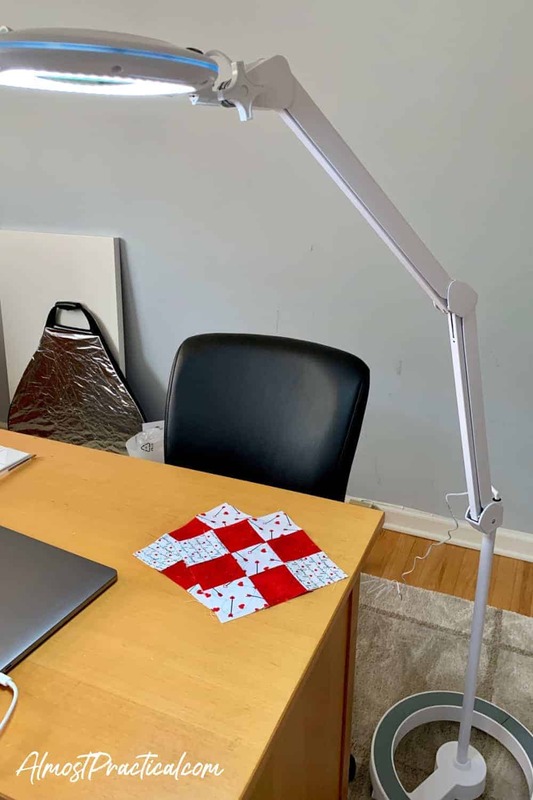 If you think that this lamp would be a great addition to your craft room or home office, then use the form below to enter the giveaway! The giveaway will close on March 6, 2019. 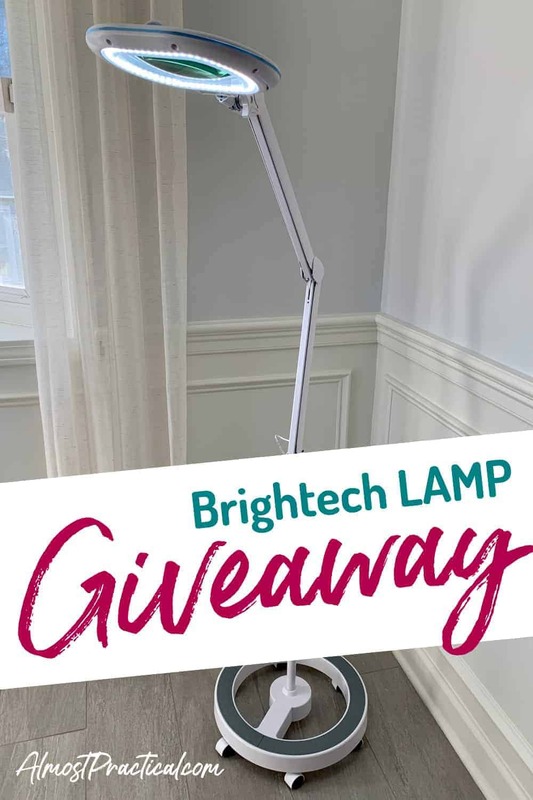 One person will be selected at random by Brightech and Brightech is the responsible party for fulfilling and shipping the giveaway lamp after the closing date. Please read the additional terms and conditions linked in the form below. I can tell you that I am absolutely loving this lamp. As a blogger and an amateur DIY'er, I am finding that I am doing a lot of detailed work at my desk or craft table. It puts a lot of strain on the eyes. A bright lamp makes a big difference. And this LightView XL Magnifying Glass Lamp is so much more than your average craft lamp. 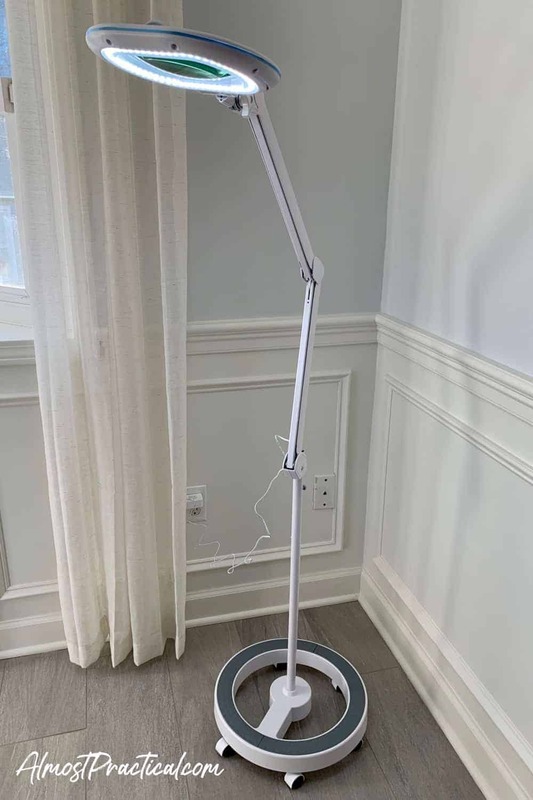 This lamp has an adjustable arm that you can move with the touch of your hand, so you can adjust it closer to your project or push it up higher away from your desk. The light head itself is a large, oval magnifying glass that is ringed by bright LED lights. You can adjust the brightness of the lights to fit your preference. This light head is also adjustable and twists from side to side and can be moved up and down. The magnifying glass has a cover on top. To use the magnifier, you just pull the lamp close to your project and flip open the cover to peer through. 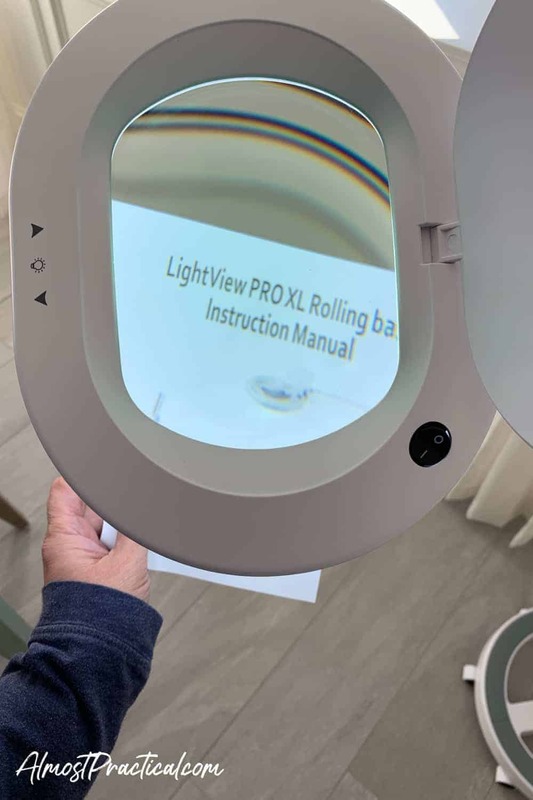 When you don't need the magnifying function, simply close the cover and use it like a regular lamp. The best part – ok one of the best parts (there are so many!) is that this lamp is a floor lamp that has a large, stable, rolling base – which means that it does not eat up your valuable desk space. 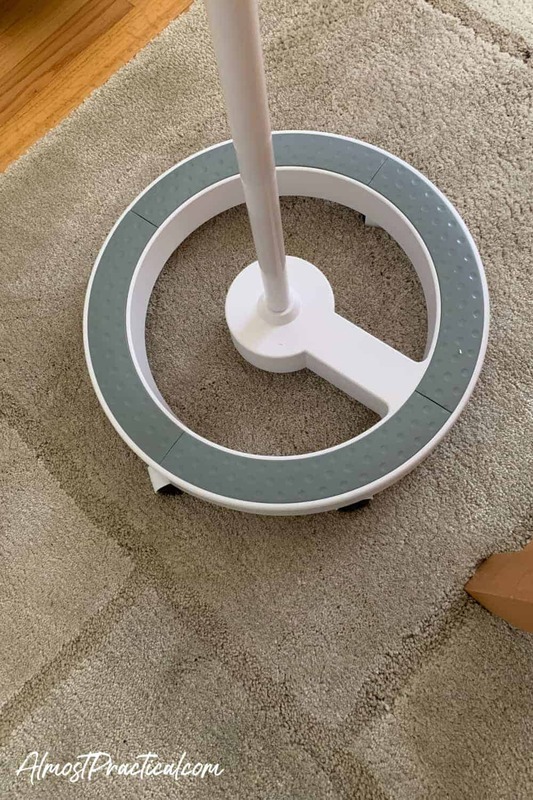 You can wheel this baby around your desk or room very easily. 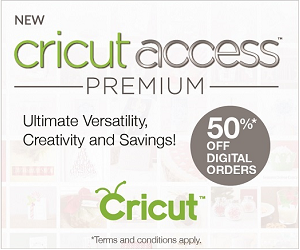 (You will need a long cord to do this because the lamp cord itself is relatively short – but no biggie.). Can I just say wow, wow, wow – over and over again? 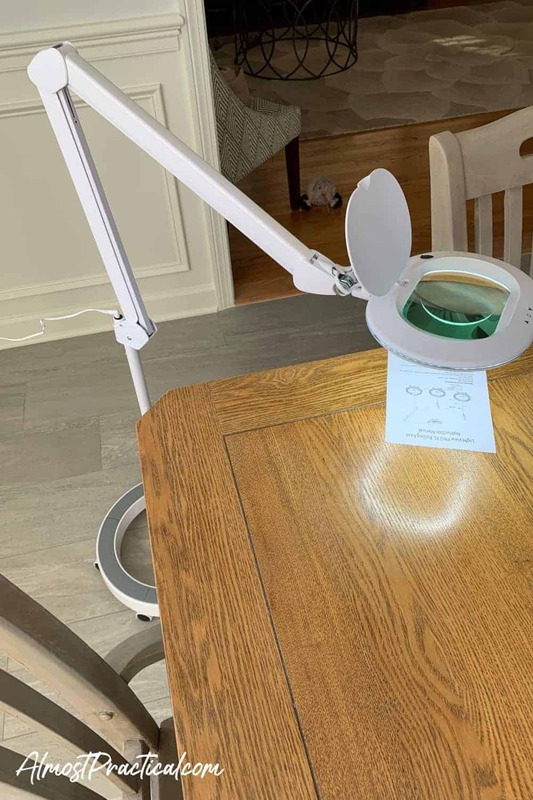 I am beyond thrilled to add this LightView XL Magnifying Glass Lamp to my home office/craft room workspace. You don't need to be a crafter or into DIY to make use of this amazing lamp. For my blog, I take lots of photos and video. This lamp is perfect to illuminate flatlay shots and you can even direct the light onto yourself while you record a video. 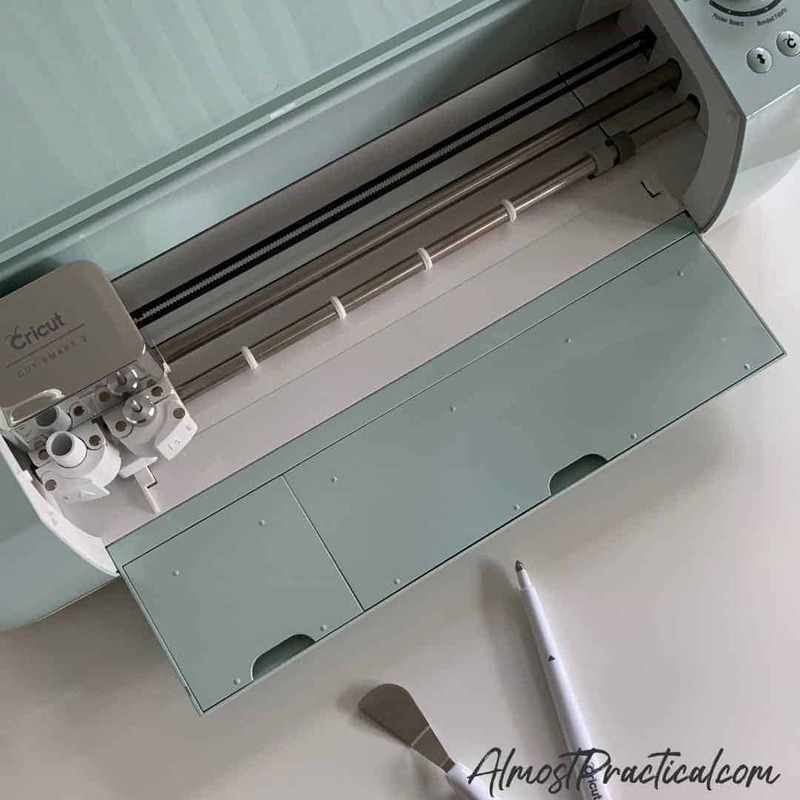 I am over the moon about my new craft lamp – and if you want one too, then use the form above to enter the giveaway. 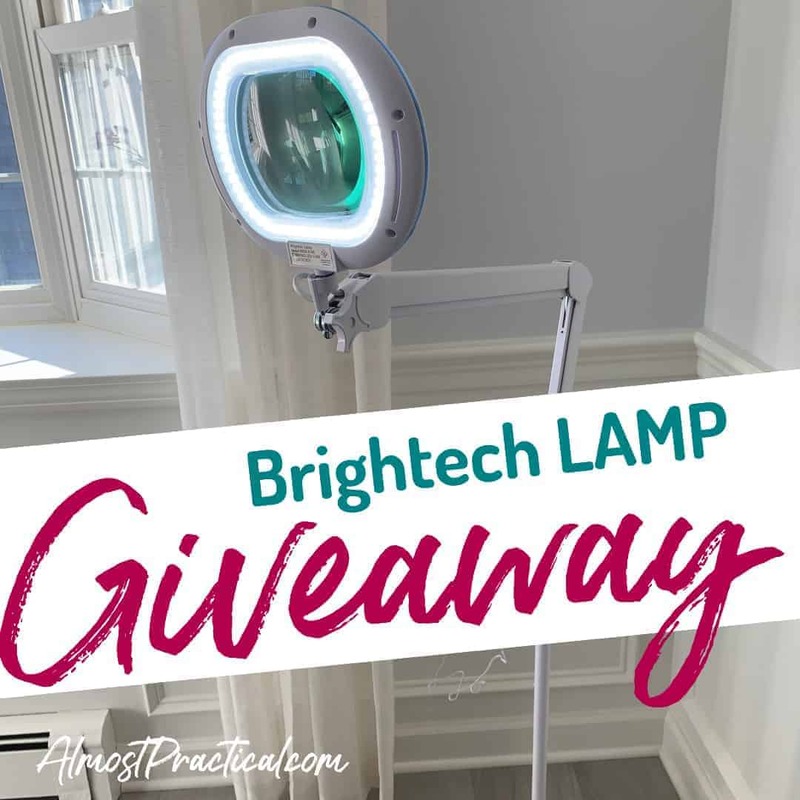 Brightech will choose one lucky entry and they will send that person this same exact lamp! Brightech is a lamp company and they have a large line up of all sorts of beautiful lamps. WOW, LOOKS LIKE A GREAT LIGHTING SYSTEM! I CURRENTLY USE ANOTHER LIGHTING SYSTEM BUT COULD CHANGE. THIS LIGHTING SYSTEM LOOKS GREAT FOR US WHO REQUIRE A GOOD ILLUMINATOR AND MAGNIFIER. LOVE THE WHEELS! THANKS FOR POSTING THIS GIVEAWAY OPPORTUNITY. I am really enjoying this lamp. It really lights up my work surface without taking up any desk space – and I can move it to practically any angle. It’s the first magnifying glass lamp that I have had a chance to use, and I am finding that it is really great for crafts. This is the most awesome home tool I have ever seen! I’m legally blind so need lots of light when on my computer. AI’m on it a lot & I like to do crafts so this would be so great to win! Oh – it sounds like this lamp would be very useful for you. Fingers crossed! It is a nice lamp – put your entries in! Hi Neena, wow, that lamp looks awesome. I could use that in my office and it would be great for doing videos too. I love how it makes things bigger to with the magnifiying glass. I’ve entered and good luck with your new YouTube channel, love the logo’s! Would come in handy for coin collecting. Yes – I think this lamp would be great for coin collecting! I just completed my craft room makeover—but I am not pleased with the lighting. This sounds like the perfect solution! This brightech lamp is brilliant! It really is – I love it!